Press her left foot and this baby will play “Peek a Boo” with you by bringing her blanket up to her face and back down again. 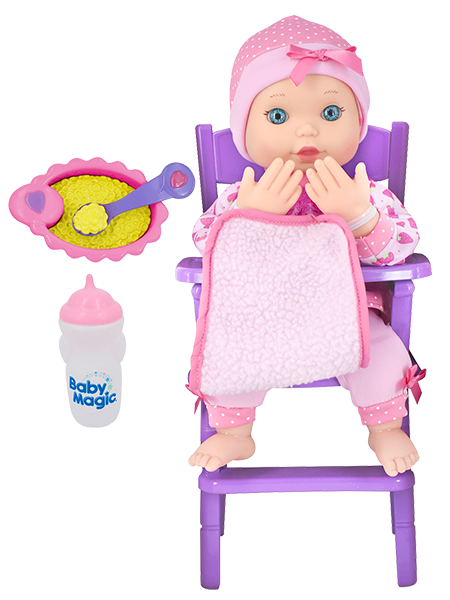 Place the interactive spoon near the baby’s mouth and she will make eating sounds. 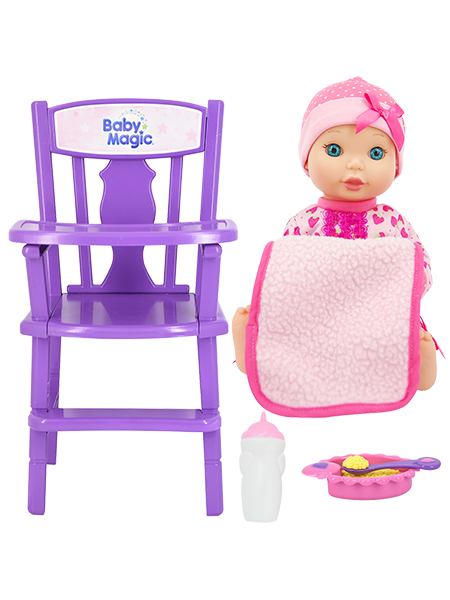 Set includes interactive spoon, feeding dish, baby bottle and high chair.